Here's the concept: To do a C&V Century, get to 100 by adding the age of the bike to the number of miles ridden in a day. I haven't done this yet but came dangerously close a week ago when I rode 71 miles on my 1987 Schwinn Prelude (23 years old... 23 + 71 = 94... not quite there). Real centuries (100 miles) don't count unless the bike is classic/vintage (according to the jury of this board's posters). Have you done a C&V Century? 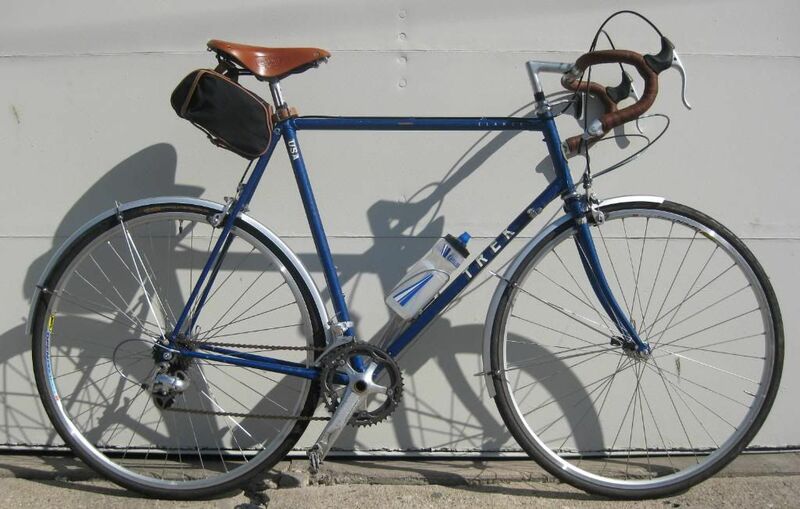 I have ridden 60 miles on my 1949 Raleigh Clubman, most recently last fall (2009), so that's 60 + 60 = 120! on 7/2, I rode 81 miles on my 1972 Fuji Finest. 81 + 38 = 119. Might be time to bring the Hetchins out for a long ride on Friday - if the weather cooperates. I did a 200km on my '67 zeus, so 200 + 43 + 243km. On the 31st of this month I'm going to Niagara Falls and back on my '74 Alan, so that will be about 350km (+ 36), so 386km total. Yeah, I've done that... on my '50 Norman, that's only 40 miles, so I've done it plenty of times... ditto for my other Norman, also probably from 1950; also on my '58 Raleigh... and on tour, riding either of my early 80's touring bikes (one's a tandem) I routinely ride 75 or more miles... sometimes almost twice that. 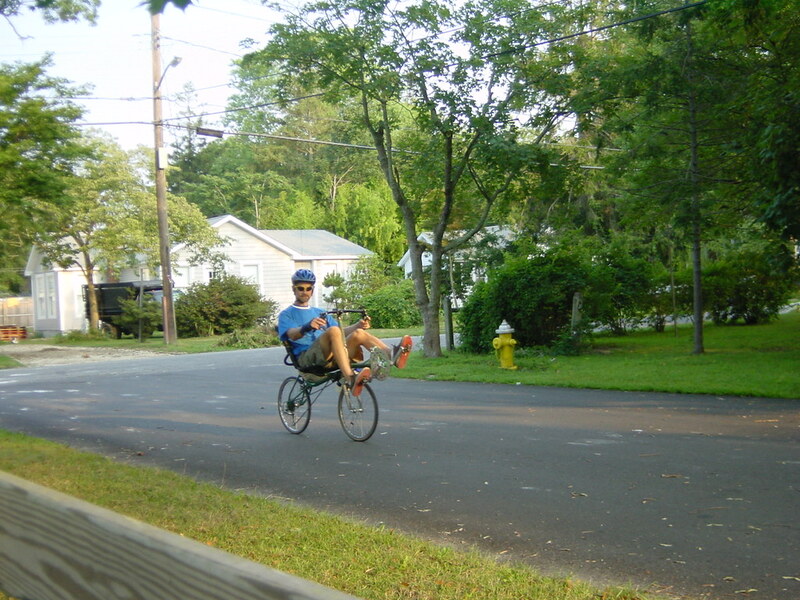 Here I am a couple years ago, leaving for a century on this Counterpoint Presto. The bike dates to ca 1990, and has Suntour gears. One of the first production recumbents, the design was taken over by Pashley after Counterpoint went under... so the case can be made that it's a classic. Last edited by rhm; 07-12-10 at 12:12 PM. I accept that idea, and will make arrangements. Great idea. We need pics. I did a 200K at the end of March this year. I was on my 83' Nishiki Seral. It was 125 miles on a 27 year old bike so 125+27=152. 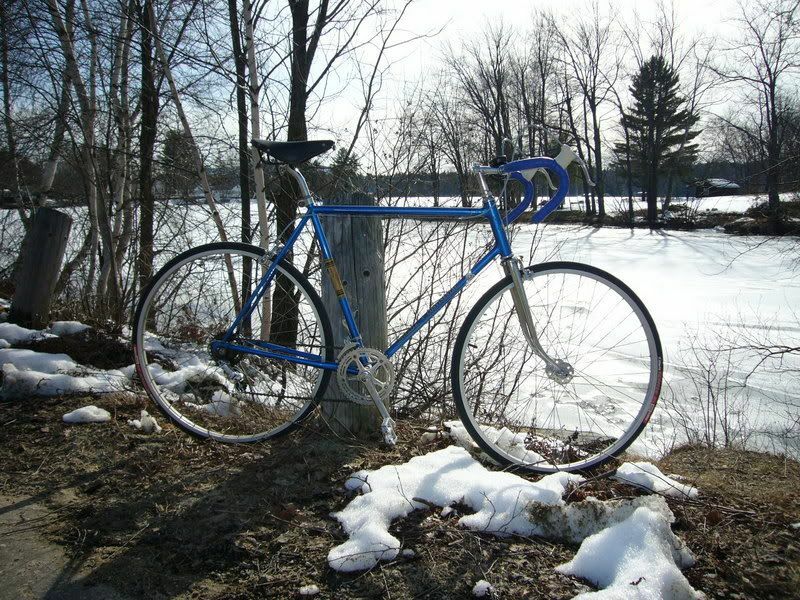 closest I've come recently was 30 miles on my '72 Super Course (68 total) and 40 miles on my '89 Miyata 1000 (61 total). I had a dream Saturday night that I got my Durkopp going and was on a long tour with it...if that becomes a reality I'd only need to do 40 miles to be at the C&V century mark. I did the Armadillo Hill Country Century on a 1989 Pinarello. I don't know if that counts. I never considered that bike to be C&V. I have been intending to do a century on my '74 Hetchins but haven't gotten around to it yet. I have done several solo Metrics on it. I don't remember exact mileages, so I can't say for sure I have met your formula, but I have come close. I guess that will be my project for the fall, a metric plus 2 miles. Got a double century next month and I hope my Vitus is done by then. Let's see, 58 miles yesterday on the '77 Trek 504, that's...91, drat! I'm sure i'll beat that later this summer, then a true [108 mile] century in late October on it! Hey... more response than I thought! I thought about this after my ride last Monday and now I'm kicking myself that I didn't do a lap or two around the neighborhood to make the mark. I'm going on vacation at the end of the week and taking my '83 Raleigh Marathon. If I can get a 73 mile ride in, I'll be in the club too. I rode 59 miles on the 4th of July using my 1978 Trek 400 Elance. The Trek is my rain bike. I should have no problem doing an Imperial Century on the Trek soon, although I usually ride one of my modern bikes on longer ride. Last edited by Barrettscv; 12-26-10 at 10:30 AM. I should add that last fall I did a 35 mile ride on my 1937 Raleigh Sports, so there's 35 + 72 = 127. And pedaling that big boy around, it felt like I had ridden 127 miles! I came really close on my circa 1939-40 Schwinn New World a few weeks ago. I did a 24 miler on the local gravel packed Rail Trail. That's 71 or 70 + 24 = 94 or 95. That's not much but I have to admit the last 10 miles were some of the most uncomfortable I've ever experienced on a bike. The primary culprit of the pain had to be the Major Taylor bars. It has convinced me to convert this into a more upright bike and probably with fenders. Next winter I'll tinker with it more. Until then, I need to plan a 48 mile ride on my '62 Continental. Last month I did a supported 109 mile century on a 1993 Pogliaghi, and two weeks later I did an unsupported 114 miles on the same bike. I'm still so tired from that ride that I can't add! Something about the 3 speeds must play into your equation? Hmm...let's say you get 20 additional miles doing it with only 3 available speeds. That way your math is sound. So all I need to do is ride 28 miles on my 38' Dawes? That should be easy... once I put it back together...! I do ~85mi on my 1996 Trek 830 semi-regularly (2 times a week) so thats... 99mi. Can we just call it a hundred? I did a century on my '93 Specialized Epic earlier this year (101+17=118). Does my Epic count as a C&V? Otherwise, I did a few 70+ mile rides on my '86 Look (74+24=98) very close. Also rode a metric century on my 87 Trek 560 last weekend (100km+23=123). So I did a C&V Metric Century! 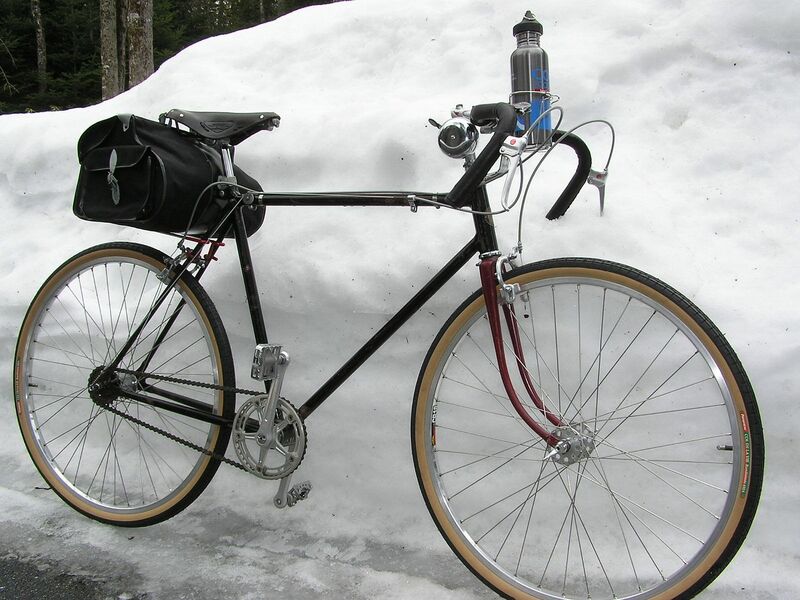 1988 paramount fixed conversion - 80 miles last saturday through Mt Rainier Natl Park. Good training for RAMROD later this month.